A natural side effect of genetics, age, poor diet, and/or lack of exercise, the “double chin” makes most patients feel insecure and unconfident. KYBELLA®* is an FDA-approved prescription medicine that targets dietary fat cells and improves the appearance of “double chin.” This non-invasive treatment involves monthly small injections under the chin and takes between 15 to 20 minutes. KYBELLA® is a non-surgical treatment that improves the appearance and profile of moderate to severe fat below the chin. It eliminates the inconvenience of surgery and repeat treatments once your physical goals are met. If you want a thinner chin without invasive surgery, consider KYBELLA® at the Cosmetic Plastic Surgery Center. A long-term solution to a variety of beauty problems is permanent cosmetics. Also known as permanent makeup, permanent cosmetics is a revolutionary method of depositing hypoallergenic mineral pigments into the dermal layer of your skin. All procedures are performed using fully digitized devices that provide clean, realistic, and accurate results. Permanent makeup helps with scars, alopecia, cosmetic allergies, eye sensitivity, and areola restoration. It’s also a long-lasting solution for those who have unsteady hands and visual impairments. Permanent makeup can be both beautiful and time-saving. It’s a great option to boost self-confidence and personal freedom. Consider permanent cosmetics at the Cosmetic Plastic Surgery Center. Venus Versa™** is a versatile multi-treatment platform that uses Intense Pulsed Light and SmartPulse™ technology to reduce acne. This precise light travels through several layers of skin and generates heat when absorbed by the tissue without damaging it. Microdermabrasion is a non-surgical treatment that exfoliates and removes dead skin to reveal deeper layers of fresh, untouched skin. It uses controlled scraping with a diamond applicator to buff the first layer of skin. This non-surgical treatment reduces uneven pigmentation, unclogs pores, and improves acne and sun damage. It’s perfect for those with oily skin and patients who use retinoids for acne. Microneedling* (also known as collagen induction therapy) is an all-natural technique that rejuvenates and improves the appearance of your skin. These tiny punctures use your body’s natural healing system to stimulate the growth of collagen and elastin. It’s a great non-surgical treatment to repair or remove acne scars nearly anywhere on your body. Microneedling also enhances the effectiveness of skincare products and shrinks pores without significant side effects or recovery time. Fraxel lasers* create tiny “microthermal” zones deep in your skin. The punctured skin uses your body’s natural healing system to push out old damaged skin and replace it with new skin. It accelerates the production of collagen and new, healthy skin cells to remove acne scars and prevent future breakouts. 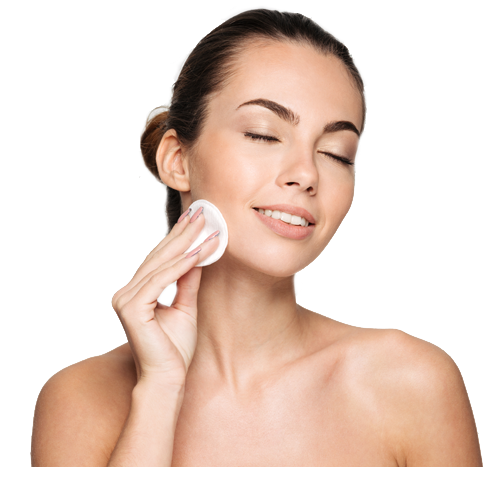 Chemical peels are specifically designed to retexture and enhance your natural skin by removing the damaged outer layers. These chemical peels help skin that’s sunspotted and pigmented, acne-prone, or scarred and damaged.